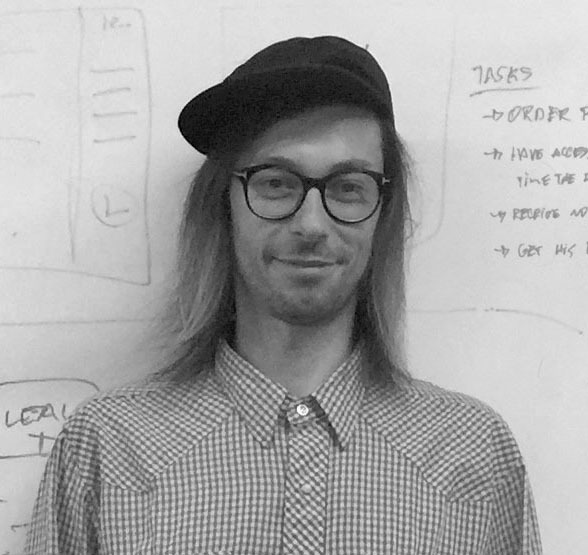 Critical and reflective digital explorer, avid learner, I am agile at balancing customer needs and business goals through functional and engaging design solutions to deliver a meaningful outcome to engage and delight users. Together we can improve user flow and create value for your business. O2 Telefónica’s World Chat app enables users to make cheap and reliable international calls from the UK without relying on internet connectivity. The telecoms giant offered us an opportunity to redesign the app in order to optimise conversion and retention. During a 2 weeks sprint working in a two person team, it was discovered through contextual enquiry and testing that the app's USP could be leveraged to address user needs in a ways quite different to O2's expectations of their product. Our users need a way to navigate through the application, but we believe the existing structure could be made clearer and more functional. How might we inform the user of the time left on a call and remaining credit so he can confidently enjoy a family moment without interruption? With a redesigned information architecture structure and navigation, the new option of micro top-up gives the user peace of mind while on a call. The user research revealed pain points in the current app payment option scale and remaining call time. The context of use revealed the need for a central hub giving quick access to favourite numbers, credit level and top-up. The App content architecture was prioritised with the creation of Home to facilitate the user activities. Working as a duo with Gaetan was a great pleasure. The high level professionalism and business know-how he brought to the project from his wealth and breadth of experience to reliably deliver fantastic results was matched by his extremely warm and supportive temperament. I can wholeheartedly recommend Gaetan as a great asset to any team. Finding quality home care for our loved ones can be very difficult and costly at a time of need. 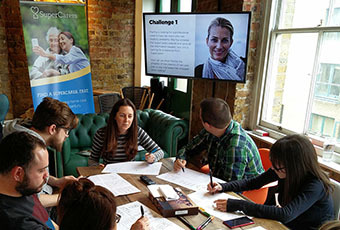 This personal experience prompted the Pike brothers to launch the SuperCarers startup: to connect the care seekers with the care givers. During a 2 weeks sprint, Angela, Matt and I worked together to address the brief and offer SuperCarers a user-centred design solution. 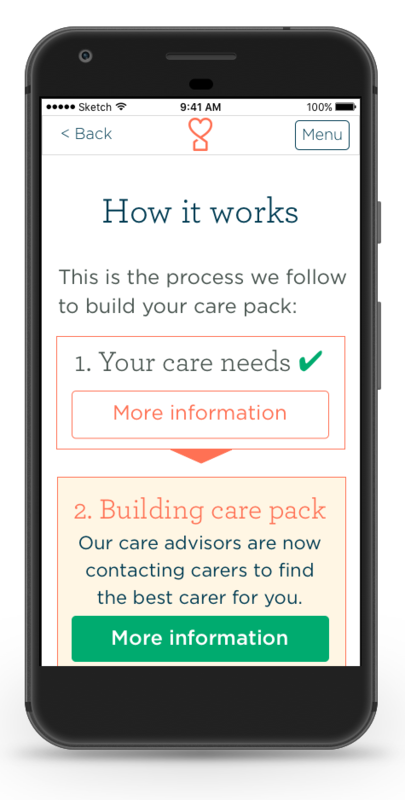 SuperCarers have identified an opportunity in the downtime between on-boarding and communicating the care team package to the users. How might we make use of the downtime to keep the user engaged? There is a virtual bridge between the brochure site where the on-boarding takes place and the web app where the user manages the care team. The care seeker feels informed, engaged and supported through the process. Understanding the user requires walking in their -sometimes uncomfortable- shoes, analysing the tasks at hand and observing where the stumbling blocks might be hidden. Keeping the pace of design iteration and testing requires a lot of planning. My service design background helped frame our solution in the big picture of all the user touch points with SuperCarers. 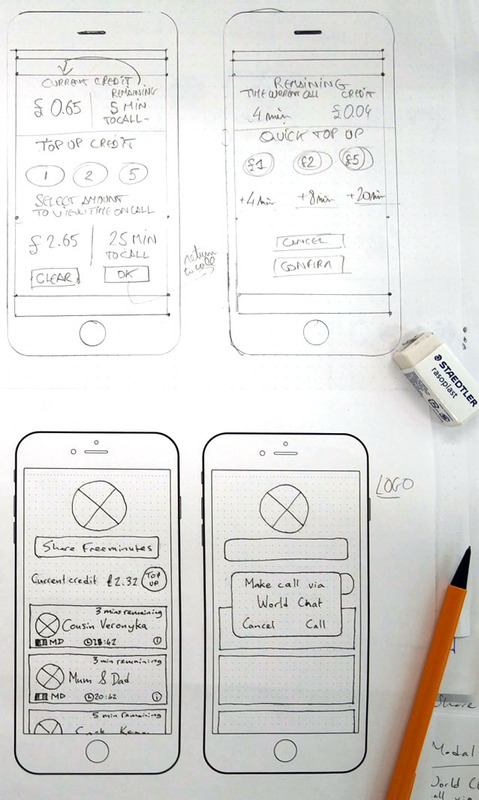 With 2 visual designers on the team, it felt natural for me to look after the planning, feedback analyses and user-testing when Angela and Matt concentrated on the Sketch low to high-fidelity prototypes. Click the link below to read the full length -draft- case study. The spec document with annotated screens and recommendations is available on request. One of the project for the General Assembly User Experience Design Immersive course was a group project shared with fellow students Anthea Jackson and Jussi Brightmore. Our hypothetical client was KLM Royal Dutch Airlines, flag carrier airline for the Netherlands. Founded in 1919 it’s the longest running airline in the world still operating under its original name. 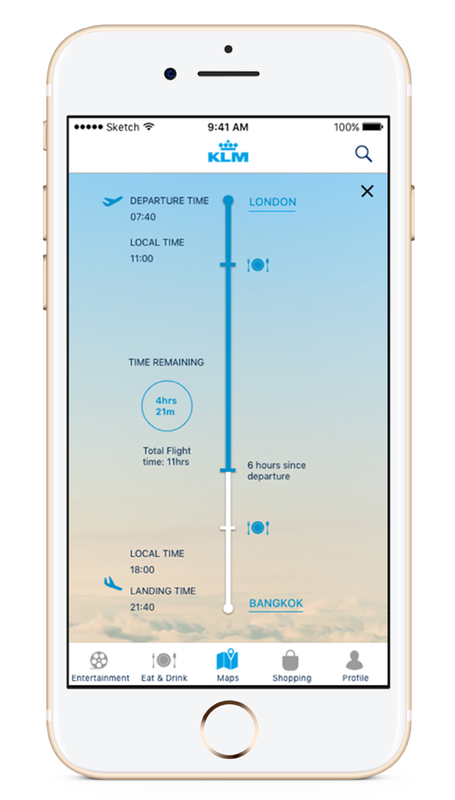 To develop an app for a fictional airline that would incorporate most inflight services and offer guidance as to which service(s) would benefit from being made digital. How might we reassure and help the traveller position themselves geographically and temporarily? Build an interactive map to orient in space and time, plan the flight experience and invite exploration of points of interest. The user feels oriented and explores the destination information, discovering local activities, arts and food. Team collaboration and friendly friction: when teams are created at random, there may be times of friendly difference of opinions that are best channeled into creative sparks. Travel industry background and personal experience: during this 2 weeks sprint, I had the chance to reconnect with my Destination Manager circle of friends and reflect on the travel industry use of technology. UX and Service Design: further study and analyses of all the touchpoints used by the airline traveller would likely yield more insights and drive further design solutions. How might we find the correct balance of information and functionality to gain the trust of potential clients for such a personal service as mental health? 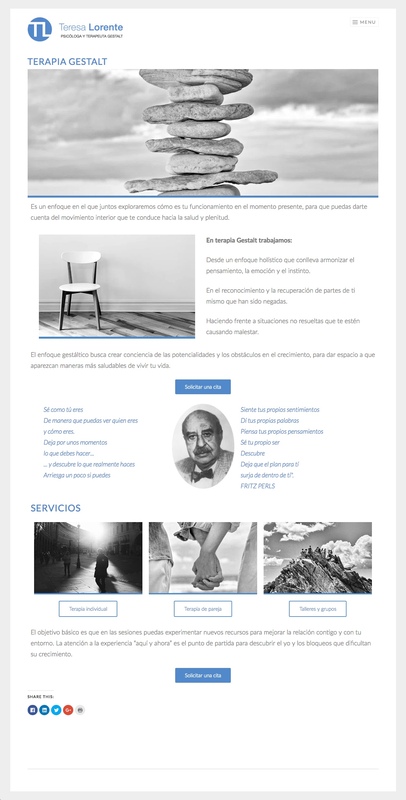 The confidentiality of existing clients and the potential insights of prospective users in need of therapy limited the user research at the formative stage of the project. The lack of time and budget reduced the volume of user testing possible before launching the site. Another challenge was to provide Teresa with an online booking system that would integrate with the WordPress engine. After relocating to Spain, Teresa is now reviewing the site content and preparing for a new version.